Heir to four generations of Alsatian bakers, Pierre HERME began his career at the age of 14, with Gaston Lenôtre. Celebrated in France, Japan and the United Staes, the one taht Vogue nicknamed ” Picasso of Pastry” brought to the pastry taste and modernity. 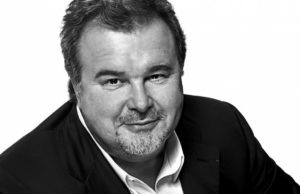 With “the pleasure for only guide”, Pierre Hermé invented a world of tastes, sensations and pleasures. His original approach to the pastry trade led him to revolutionize the most established traditions. For example, eliminate excessive or unnecessary decorations that clutter bakeries, or “use sugar like salt”, that is to say a seasoning that allows to note other nuances of flavors and finally question his own work, exploring new areas of taste or revisiting its own recipes on a regular basis. Download our 2019 program !